It was hard to pack up and leave Glasgow after having such a fabulous time there, but with our limited amount of time for this journey, and our desire to see Edinburgh as well, that's what we had to do. We hopped on a train which got us to Edinburgh in about an hour or so. I can not express strongly enough how much more pleasant it is to travel by train from place-to-place, versus air travel these days. And the sightseeing from the windows is always interesting,e specially when you aren't able to do day trips, as was the case on this trip. We stayed at another Radisson Blu, located a short walk from the train station, and in the midst of the Royal Mile. This made for an easy point of reference as first-time visitors to Edinburgh, but if I returned I'd probably pick a place not situated in the midst of the tourist area to have some more peace and quiet. We unpacked and caught our breath, then headed out for a walk through New Town, on the way to dinner at Dusit. Located down a windy alley between Hanover Street and Frederick Street in New Town, Dusit was more upscale than SF's typical thai restaurant. Have I mentioned that one of my cardinal rules is I must live no farther than 2 blocks from good thai food? If I was moving to Edinburgh, this would be my thai food beacon, based on its rendering of my standard order: Satay Gai and Gaeng Massaman (beef). The Pad Kraprao with duck and the flatbread for soaking up the leftover massaman curry were also excellent. A very good start to this part of the journey. As we meandered back to the hotel, I saw the perfect pair of ultra girlie fingerless gloves in the window at White Stuff, and made a mental note to stop back there to look at them first hand. We dutifully headed up the Royal Mile on our first day of sightseeing, stopping in at the Cathedral of St. Giles en route to Edinburgh Castle. I don't have any photos from that church as they required a 3.50 photography fee, and frankly, the interior was nowhere near as amazing as St. Mungo's. They were setting up some sort of scaffolding for erecting bleachers in front of Edinburgh Castle, causing me to remark it was starting to remind me of our trip to Venice — scaffolding and cranes everywhere! This made photo taking more difficult here than in Glasgow, and is reflected in the smaller number of photos in my Edinburgh flickr gallery. I was somewhat expecting the exhibits at the Castle to be on par with the Tower of London, and thus was a little disappointed. There were very nice expansive views of the city at least, which partially made up for that. We did more walking around in Old Town, and then headed to the National Gallery of Scotland.We skipped the Impressionist Gardens special exhibit since we'd just seen an expansive Impressionist exhibit at the DeYoung and had plans to see its sequel upon our return. 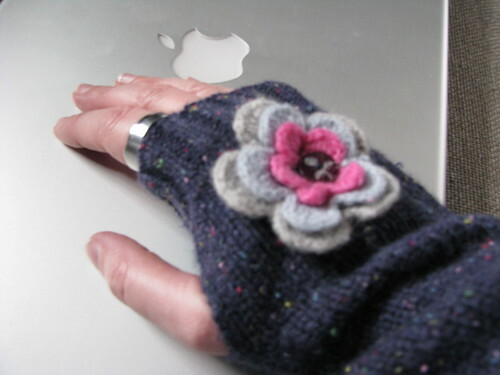 We made it back to White Stuff where I snapped up the adorable fingerless gloves I'd seen in the window (they will be perfect for keeping my hands warm while typing at work.) Unfortunately they didn't have any of the too cool owl tea cozies from their window display for sale — I definitely would have brought some back for Christmas gifts. Oh well. The rain showers started after our shopping excursion, but we could see Harvey Nichols across the square so we made a break for it. As we sat and had a cocktail and a snack for a late lunch, the sun came out and gave us a great view from the Forth Floor restaurant. It eventually got to be so hot and sunny, in fact, that I had to have the shades pulled down. I think I may be the first visitor to Scotland to get some freckles from the sunshine! Haha. Somehow I managed to avoid the many temptations in the pantry displays, and headed back to the hotel empty handed. Since L's birthday coincided with our journey back to London in the midst of this trip, I'd done some homework to find a great restaurant to celebrate in early. I decided upon The Grain Store since they were known for their use of local game and produce. Up a flight of stairs in a windy alley, the Grain Store was candle-lit with dark wood and heavy chairs giving a definitely romantic, old world feel. We shared a pork terrine starter, and I had a perfect venison main course, served with a fruity wine sauce that had a medley of berries and some thin apple slices. L's lamb was also impeccable. But I think the true star was L's dessert — a peach tart composed of one perfectly ripe small peach half wrapped in a pastry shell. Simple and yet so tasty. Not that my cheese plate with homemade oat cakes wasn't good mind you, but his dessert was perfect. Before heading out to Holyrood House, we stopped for breakfast at larder, around the corner from our hotel, on Blackfriars Street. Having slept in some, we were there in that strange time between and early lunch and a late breakfast, so I decided upon the special lamb burger. In addition to the cafe offerings, they also had a small deli and bakery selection to go. If our customs rules had allowed for it, I would have brought home some of the venison sausage and some cheese. Sigh. I forgot to write down the name of the producer of the phenomenal unfiltered pink lady apple juice I had with my meal. I wish we had more artisanal juice makers making unconventional apple choices here in Northern California. But at least we have Gravensteins. On the way up the street to Holyrood House, L caught me gazing at a pretty blue kilt, and we agreed to check it out on the way back (On the way back past it I tried it on and L bought it for me as a present. This means I have to replace my black knee high leather boots sooner rather than later.) Given the shopkeepers on the street's distinctions about these things, I should note that this was an officially sanctioned tartan kilt by Locharron, not one of those silkscreen tourist kilts all kitted up with corset strings that we kept seeing everywhere. I made an executive decision to *not* stop in at Unknown Pleasures. I was afraid of several things. Firstly, I am not sure I could have spent less than an hour there obsessively looking through all that vinyl, which can be very boring for the not-obsessed-with-records person with whom you are traveling. Secondly, I was worried I would find some must have records that I would then tote around for the rest of the day and then have to fret over through security and the overcrowded overhead bins. I'd done that my first trip to England and believe me it got to be tiresome for all involved parties to have me hissing "be careful! I have records up there!" every time they slung around their bags. I knew the chance of finding too much to carry home was high having ordered vinyl from them via mail order back in the day. We arrived at the Palace of Holyroodhouse with muted expectations based upon our previous day's experience at Edinburgh Castle. 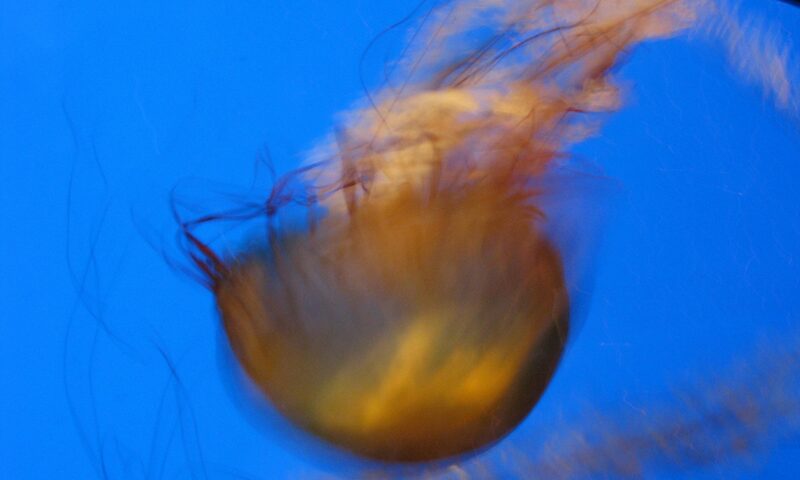 We were very pleasantly surprised, however. Despite this palace being the Queen's official residence when she is in Scotland, there were quite a few public rooms you were able to tour. It was especially interesting to linger in the rooms of Mary Queen of Scots, and look at all the ephemera therein. 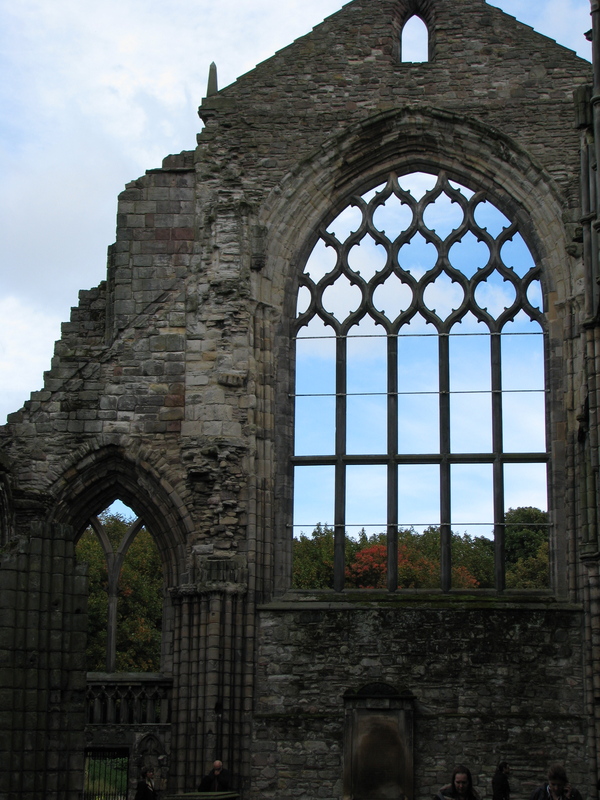 But the real highlight for me was the ruined Abby, which comprises most of my Holyrood House flickr gallery. Tired from all the walking around the Palace's grounds, we stopped at Clarinda's Tearoom for a pot of Lady Grey tea and a big fluffy slice of cake with whipped cream filling. The sideboard here was crowded with some amazing looking cakes, but I am sure we made the right choice. We'd intended to see the surrealist exhibit in the late afternoon, but after walking over to the main galleries, we learned that the free shuttle to the modern art gallery from the primary National Gallery location had been suspended, and the city bus to and from was only running once per hour and decided to forgo it. Thus, we hailed a cab and headed to the Royal Edinburgh Botanical Gardens. The Gardens were an excellent place to spend the afternoon. We saw many fat little squirrels (and a number of people feeding the little guys which explained their roundness). And we also came to see that this was kitty paradise. While making our way through the greenhouses, we came across an adorable black and white cat, who had apparently strolled in after some other patrons. "Hello there kitty!" I said to him, and he walked up and nuzzled my arm, with a big kitty smile, letting me know he was very pleased with his maneuvering inside. After some persuading, the couple who let him in were able to get him to go back outside. Personally, I thought to myself that this was a very clever cat, heading inside to the balmy 80-degree greenhouse to bird watch. For our last dinner in Scotland, I decided I wanted some good old pub food. And thus we ended up parking ourselves at the Bank Bar pub next door to the hotel. I had a pint of Caledonian and some crispy and satisfying fish and chips, while L had a burger. Nice to have some comfort food after a day with so much walking. Two days never seems like enough to explore a new city, but I do feel as though we got a definite taste of the flavor of Edinburgh regardless. Next PostNext Time for Tea!